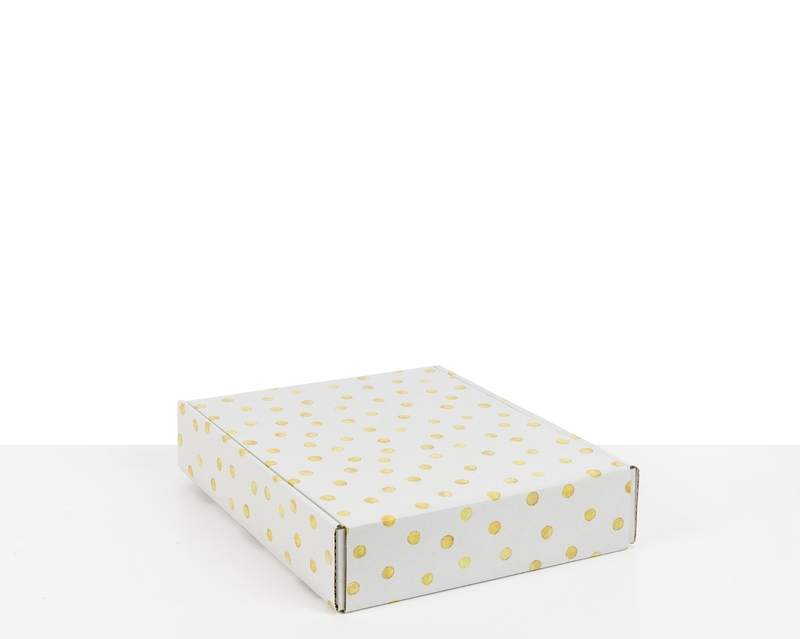 Add a touch of gold to your boxes. 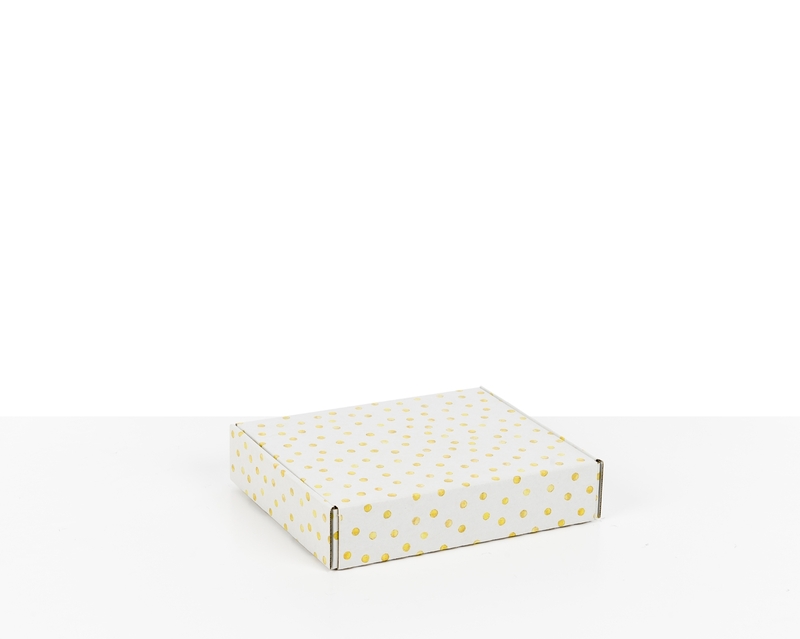 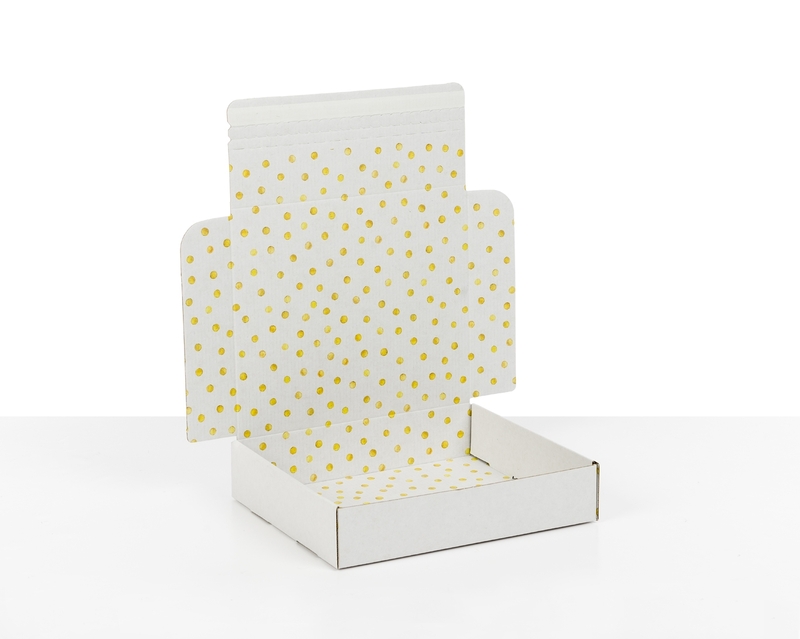 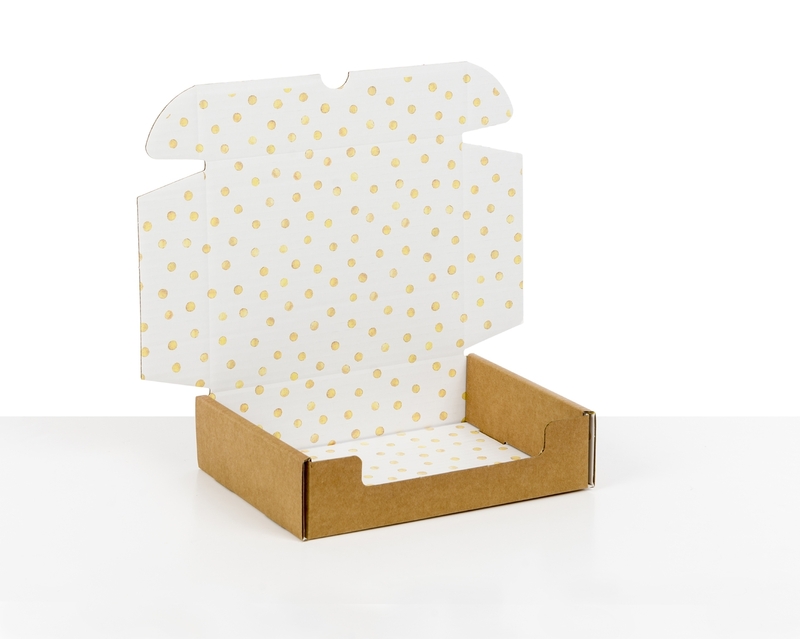 Our gold dots SmilePrint is a great way to sprinkle some Christmas cheer onto your packaging. 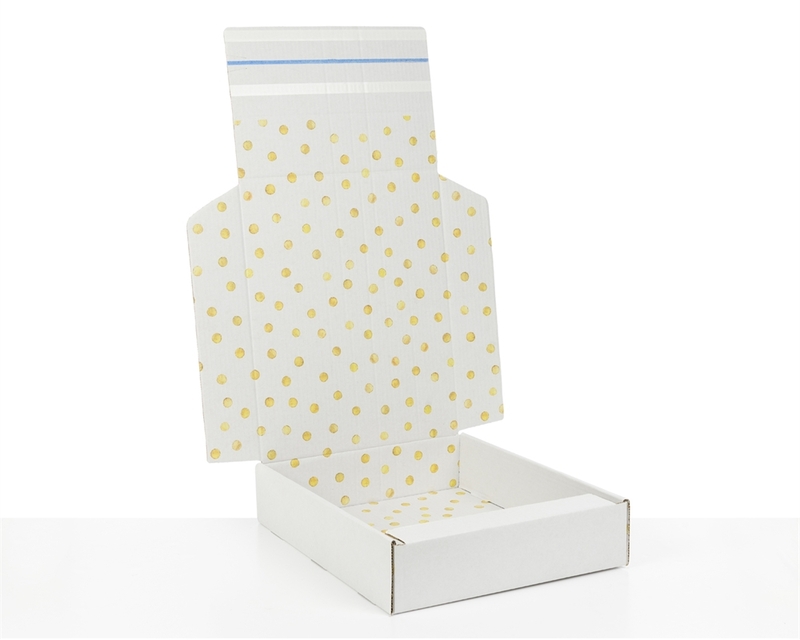 But the versatile print can also be used throughout the year. 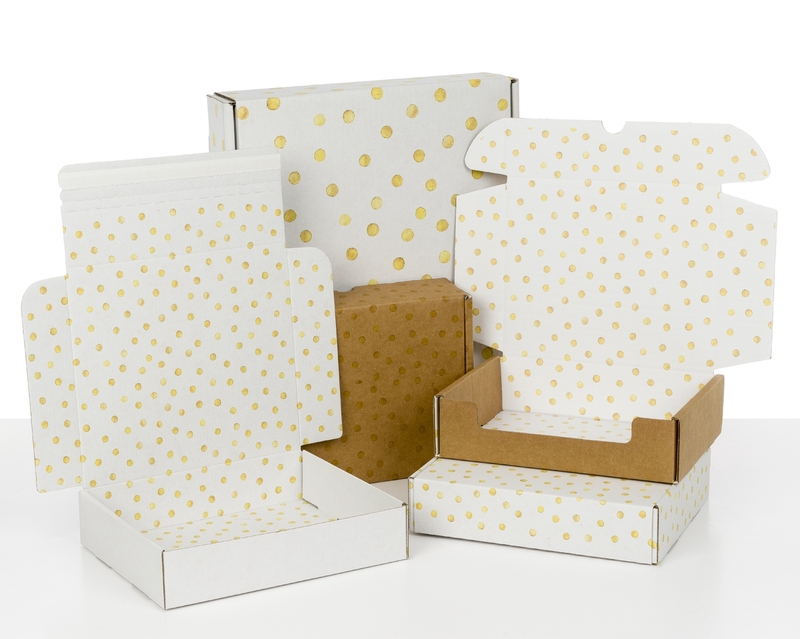 It gives a luxurious finish to any box and works well with an elegant void fill like crinkle shredded paper or tissue paper.